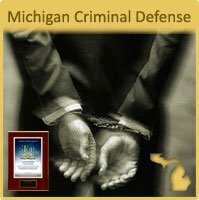 Defense lawyers in Michigan who are known for providing the highest possible level of representation on OWI, DUI and related charges. Effective, zealous and fearless representation on felony and misdemeanor charges. A conviction for Operating While Intoxicated in the State of Michigan will cost you. Your license will be suspended and you will receive 6 points on your driving record. Without the right Michigan attorney who focuses on top quality representation on OWI, DUI, OWPD and other felony and misdemeanor driving offenses, you could also spend thousands of dollars in court expenses, possibly receive jail time, and the many terms of a lengthy probation period. There are many lawyers who handle these cases but few who are widely regarded as tirelessly and fearlessly fighting for their clients until the best outcome is achieved. That is the type of representation that has made LEWIS & DICKSTEIN, P.L.L.C. widely regarded among judges and attorneys as one of the top OWI Defense law firms in Michigan. There is no substitute for having a defense attorney who exclusively practices criminal defense. A general practice lawyer or lawyer who handles different types of law will not have the specialization, experience and reputation to get you the best possible result. If you have a drunken driving arrest in Oakland County, Wayne County, Macomb County or elsewhere in Southeastern Michigan, you will want to contact a Michigan Drunk Driving Attorney who is familiar with the courts in these areas and have experience helping clients avoid jail and, in come cases, avoid a conviction all together. Some bigger law firms will take your money and then hand your case off to an attorney with little experience in the field of alcohol related offenses and some smaller firms have one experienced lawyer and other less experienced attorneys. The thing that makes LEWIS & DICKSTEIN, P.L.L.C. 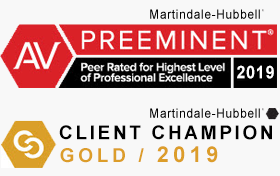 unique is that we have a team of lawyers who each have decades of experience and work together to make sure that each clients is properly defended and protected. Our team has a 10.0 rating on Avvo (Superb), AV rating on Martindale-Hubbell (Preeminent) and National Super Lawyer. 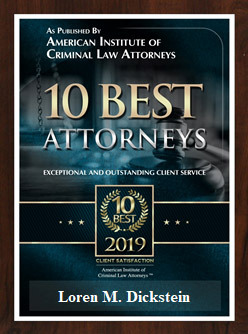 If you are looking for the most qualified, most effective OWI defense attorneys to represent you at a fair and affordable price, LEWIS & DICKSTEIN, P.L.L.C. is the firm you want by your side! If you’ve been arrested for Operating While Intoxicated and you are looking for a Michigan drunk driving attorney, you will want to contact one of the attorneys at LEWIS & DICKSTEIN, P.L.L.C. Please call us (248) 263-6800 and as to speak to an OWI defense attorney today.